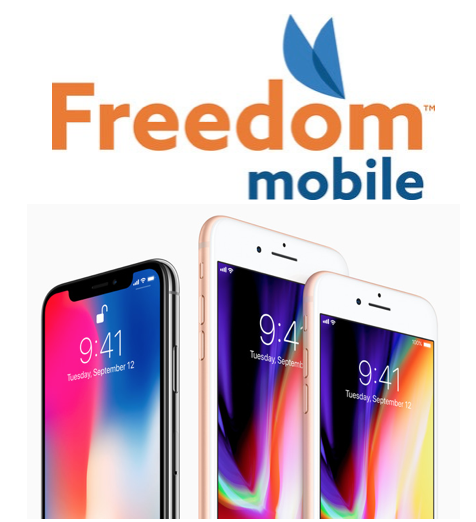 Freedom Mobile announced today it will deploy its recently acquired 2500MHz spectrum, which will enhance its LTE-Advanced network for customers in Toronto, Vancouver, Calgary, and Edmonton. The company recently announced it would start selling the iPhone, but no launch date was confirmed. Apple’s iPhone 8, iPhone 8 Plus and iPhone X support Band 66 AWS LTE on Freedom’s network. The company has already started upgrades, such as deploying 2500MHz spectrum it acquired from Quebecor four months ago in a $430 million deal, and “refarming a portion of our existing AWS-1 spectrum”, meaning repurposing the latter 3G network for LTE. Western Canada will see upgrades completed by December of this year, while the rest of the company’s coverage areas will see completion in early 2018. Shaw management said today it will eventually sell wireless under two brands, reports The Globe and Mail, similar to how the Big 3 carriers have premium and flanker brands. Mehr said Freedom Mobile’s growth strategy will include a focus on BYOD (bring your own device) customers, a growing segment. The company recently filed trademarks for Shaw Mobile, Shaw Wireless and Shaw Mobility and Freedom Mobile marketing materials have started to get more shades of blue, the corporate colour of its parent company. Earlier today, Shaw announced Freedom Mobile added 41,014 wireless subscribers in its fourth quarter, helping wireless revenue jump 16.2 per cent. Overall revenue increased 2.6 per cent to $1.244 billion compared to the year ago quarter, below average analyst expectations.